Our monthly gathering of typography geeks in the bookstore-basement bar had seemed like a good place to gather some feedback on an unusual book. To my right, John D. Berry, president of the international typographic association, ATypI, had been thoroughly unimpressed; he held the book gingerly between thumb and forefinger as he handed it back to me. After checking to see whether it had gotten smeared by an appetizer (it hadn’t), I wondered briefly if he thought it was radioactive, or perhaps contagious. I passed the book to graphic designer and Seattle AIGA president Jeff Barlow, on my left, and asked what he thought of the tome’s claims of sparking a new renaissance in book design. “People have been doing crap for centuries,” was Barlow’s reply after leafing through it, declaring it neither new nor particularly well-executed. The subject of their disdain was a colorful hardcover: Goodbye Gutenberg by Valerie Kirschenbaum. The most interesting thing about it is not that it is loved by some of those few members of the general public who have read it, nor that it is not-quite-universally reviled by designers, but rather that people hate it for so many different reasons. And while I sympathize with the intent of the book, I share most of their misgivings. Its main thesis is that most written material today is presented in a fashion that younger generations find boring and dull; it needs to be much livelier to compete with TV, film, music videos and console and computer games. The main way to do that is through extensive use of color, with graphics and imagery. Illuminated manuscripts and graphic novels are examples of written forms that work better. The people to do this will be the content creators themselves, who will become a new breed of “designer writersTM” (yes, she claims a trademark on the term). What’s wrong with all this? It depends on who you ask. 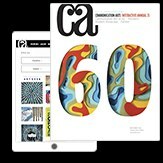 As has sometimes been bemoaned here in the pages of CA, graphic designers and typographers are often dismayed when they discover that they are competing with the client’s completely untrained spouse/child/buddy to get a commission. It seems that a large chunk of the general public doesn't realize that training and experience are important in design and typography. Professionals with such worries might be concerned by Ms. Kirschenbaum, who never suggests that any training, beyond her book, is necessary to become a “designer writer.” She rails against “experts” who deride her ideas by putting down her lack of training and credentials. One can certainly understand her frustration and anger at these ad hominem attacks; her lack of training, in and of itself, is not a reason to put down her ideas. Now, there may indeed be cultural (or historical/inertia) factors in our not making broader use of color in book publishing, but color is neither free nor cheap. Many of Ms. Kirschenbaum’s examples are for class handouts (she’s a high school teacher), so I examined the means one might use for such output, and the increased cost of doing full-color text plus graphics with 25 percent color coverage against just black-and-white text. Low-end inkjets ran 2.5 to 3 times as much for color output. Low-end laser printers, typically seven times as much--not coincidentally FedEx Kinko's uses the same multiplier for color vs. black-and-white output. A high-volume color laser operated in-house might get down to only three times, but that’s still significant. I also noted that Goodbye Gutenberg itself is a full-bleed, 4-color publication, with a run of 4,700 copies. Worzalla Publishing quoted me 43 percent more to print a book with identical specs in full CMYK instead of black-and-white (same graphics and full bleed on either). So, the idea that cost isn’t a factor in choosing black-and-white output over color is dubious. But is there also a cultural reluctance to use color in print? Well, with text on-screen, where color truly isn’t any more expensive or difficult, we see plenty of it. I’d argue the issue is not, in fact, solely cultural. Cost aside, why else would one not use color? On screen, use of colored text or backgrounds can defeat legibility-enhancing techniques such as Microsoft’s ClearType or Adobe’s LCD-enhanced rendering. Plenty of studies show that many color combinations (including many used by Ms. Kirschenbaum) are harder to read than good old black on white, either in print or on screen, though some are not bad. Even full-color graphic novels usually put most of the text in black on white. It seems that sufficient contrast between text and background is important for reading in print and on screen (a lesson that seems to be getting lost on an increasing number of Web sites). Playing Ms. Kirschenbaum’s advocate for a moment, one can imagine her pointing out that if the problem is to get people to read at all, a design that draws them in to read in the first place is superior to one that gets ignored, even if it is harder to read once it’s picked up. But, as Barlow commented, “She seems to have mistaken ‘getting the reader’s attention’ for ‘engaging the reader’—accidentally stepping into a puddle gets my attention, but a foot massage is engaging.” I had this problem myself in reading Goodbye Gutenberg: The variety of often garish layouts, while ever so effective at attracting my attention, seemed to repel me from an immersive reading experience. Typeface selection is a secondary key topic of the book, and what originally intrigued me. Kirschenbaum claims that female writers have been oppressed by the fact that the typefaces available have been restricted to "masculine fonts" designed by men. As far as she knows, her own library of some 3,000 books contains none using a typeface designed by a woman. The book’s Web site goes further, claiming “that all women writers and readers have been limited to male-designed fonts” until the publication of Kirschenbaum’s own book. So we “read through the EYES OF MEN” (caps in original). I have no desire to defend sexism in western typography from Gutenberg to the present. Typography in much of the last century was still dominated by men. It’s hard not to remember when the legendary Beatrice Warde broke into the field by publishing under the pseudonym of “Paul Beaujon,” and was offered a job sight-unseen by Stanley Morison at Monotype (the same designer who later oversaw the creation of Times New Roman). But today, Kirschenbaum is wrong on both the availability of typefaces designed by women, and the idea that there is any identifiable difference between typefaces based on the designer’s gender. Women designing type predate Goodbye Gutenberg by decades. High on my list of pioneering female type designers would be Dr. Fiona Ross and the all-female non-Latin type design team at Linotype U.K. during the 1980s. Looking at fonts seen in late twentieth century books and magazines in the Middle East or Southeast Asia, the representation of their work is quite high, even the majority for some languages! It would be hard to overstate either the quality or the ubiquity of the fonts these women created. Some were reworkings of older typefaces, or done in concert with outside male type designers-such as Matthew Carter-but most were original within the team. In a 2006 article on women in type design, type designer Sibylle Hagmann reported that of the 478 type designers whose work was then licensed by Linotype, 59 (12.3 percent) were women. A sadly low number, but considerably more than Kirschenbaum credits. Her Web page claims there were none before her, while in the book she cites Zuzana Licko and Carol Twombly as pioneers, but misses the dozens of others. There are two master’s programs in typeface design: the University of Reading in the U.K., and the Royal Academy in The Hague. Both are graduating women at roughly the same rate as men, and have been for a decade. Because typefaces often remain popular centuries after their design, the male-designed “classic” typefaces of 1450-1980 aren’t going away in any hurry, but they are being joined by many designed by women. Interestingly, nobody has been able to identify any systemic differences between typefaces designed by women and those designed by men, despite discussion in public fora such as Typophile.com. Sure, Jill Bell is a calligrapher whose typefaces are playful script and hand-lettering designs, but the same could be said of Alejandro Paul. Against the stereotypes, I see soft curves in Dolly and Sauna (designed by the men of Underware), strength in the work of Veronika Burian and spikiness in the typeface of Gudrun Zapf von Hesse. To redress her perceived lack of “feminine typefaces,” Kirschenbaum created a typeface based on her hand-lettering, with help from a couple of people. She believes that future authors will create their own typefaces (again, ignoring the role of training) or commission custom typefaces (which seems implausible given the current division between author and publisher). Her typeface “Booklady” is quite pleasant, in the same vein as Comic Sans. Most designers wouldn’t consider such a typeface appropriate for the body text of an entire book; she would doubtless argue this belief reflects our brainwashing by the design establishment, and say that in a few years people will be more used to it. 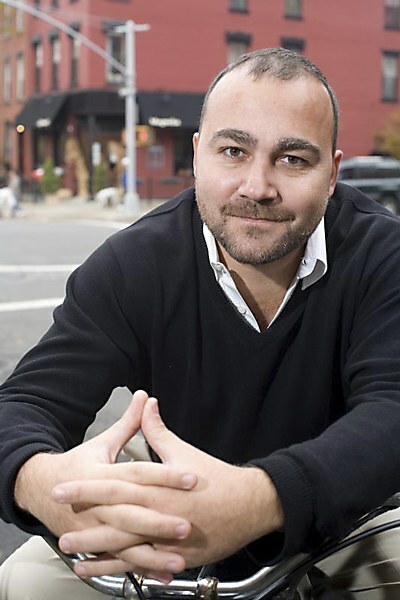 Thomas Phinney is president of FontLab, the font creation/editing software company, and treasurer of ATypI. 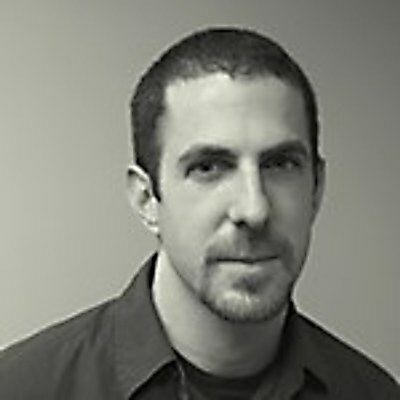 From 1997-2008 he did type at Adobe, lastly as product manager for fonts and global typography. After that he spent five years as senior technical product manager (a.k.a. “guru”) of fonts and typography at Extensis, including managing the font library for the WebINK web font solution. Phinney has long been involved in the design, technical, forensic, business, standards and history of type. 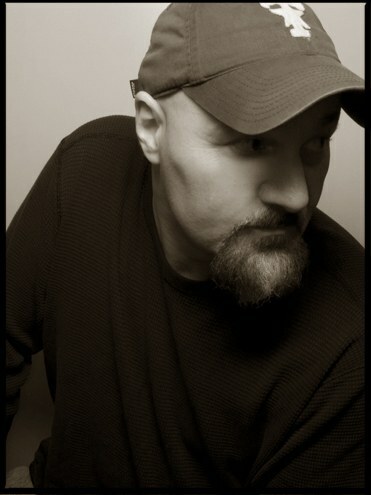 His interest in forensic typography has led to testifying as an expert witness in court, being quoted in newspapers from the Washington Post to the Dallas Morning News, and being consulted by organizations ranging from PBS (for History Detectives) to the US Treasury. Phinney has an MS in printing from the Rochester Institute of Technology, and an MBA from UC Berkeley. Executive creative director Marc Lucas believes that design and technology are inescapably intertwined and that barristers have jobs that aren’t too dissimilar from his own. John Emerson explores the power of information design. Photographer Robert Sebree discusses incorporating the business of photography while preserving the art, what happens to the bad ideas that he won’t give up on and how the line between “normal” and “strange” has blurred.